After a roll this week with sinful desserts and pork, let's talk healthy today. 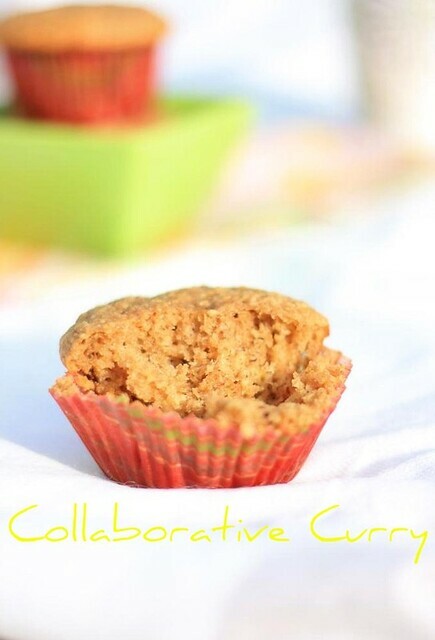 These muffins with oats and whole wheat flour is super soft and delicious. Great in your tummy and yet gentle on your love handles. LM: Muffin menam ( I want muffin) The words are distorted like when babies first start talking. Like 'twain' for train etc. I: Open jawed, hands on hips making a face at him. Did you get it? He is teasing me! Yeah, the little one is growing up quickly in the teasing department. 1.Preheat the oven at 350 degree F.Prepare a muffin pan by either greasing or lining with paper liners. 2.Crush the oats in a blender and mix it with the whole wheat flour,salt,baking powder and baking soda. 3.Beat the eggs and sugar to mix them well.Add oil and mix once more. 4.Spoon in the mashed bananas and cinnamon if you are adding into this and mix well. 5.Finally add the milk/buttermilk and mix again. 6.Pour this wet mixture into the dry mixture and fold in using a wooden/plastic spatula.Also mix in the walnuts in this. 7.Spoon into the prepared muffin pans and bake at 350 degrees for 18-20 minutes or until they are done. 1.This recipe gives you 12 standard size muffins. 2.You could add 1 tsp of pure vanilla extract if you prefer. 3.You could add more nuts if you wish. ha ha love the conversation. my husband tease me for this too. the muffins look wonderful. Cute Muffins !!! I get this a lot. My hubby always teases me that I take photos without feeding hungry people !!! 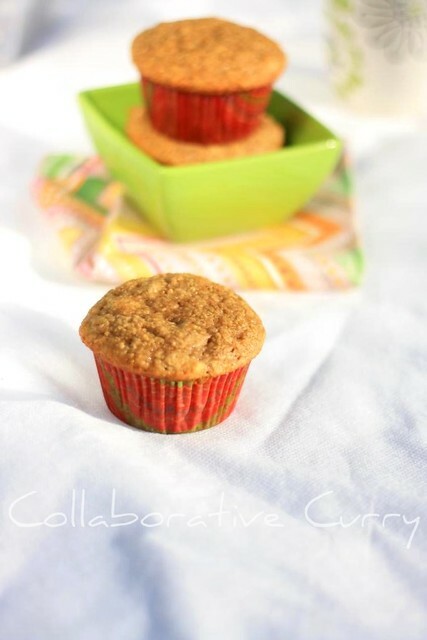 Pavam kutty :) Muffins look perfect and delicious..Bookmarked to try! Beautiful looking muffins. My 5 year old shows me cutlery and dishes to buy when I take her shopping. Saying "Make something and keep it on this plate and take a picture" I feel pathetic at that time. Thanks for yet another beautiful entry. wow, those pics are so tempting. Those muffins look awesome..beautiful clicks as always !! 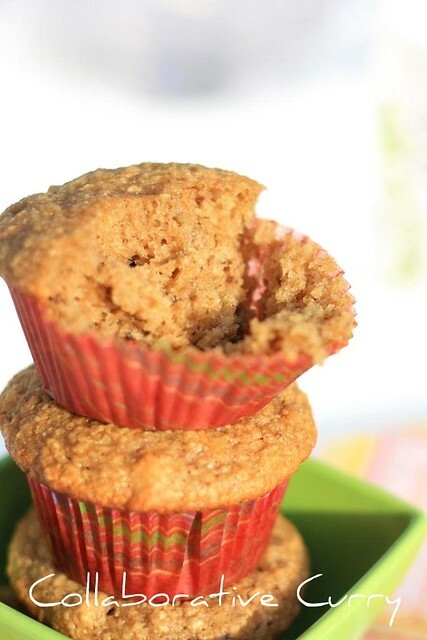 I love banana muffins.Yours look so soft and yumm! Looks fluffy and spongy ..... really nice clicks! Nice and spongy muffins, am yet to try with wheat flour.. Interesting combination and perfect muffins u've got! The muffins looks great Nami..
this is quite a coincedence. I had jsut posted about my lil ones conversation n me... in my post of a muffin!!! Lovely clicks, and healthy looking Muffins. Whee! What lovely muffins! They're so fluffy and soft! Yum! Lovely muffins and the sweet mom-baby chat. This will a super hit with my boys... Looks soft and moist... Great for kids breakfast . What a cute conversation and what cute looking muffins...:)! I am so craving for this muffins Nami. Lovely clicks.